The dry oil Huile Prodigieuse by French skincare and cosmetics brand Nuxe, has been a cult beauty product for a number of years. Suitable for face, body and hair, it is a “must-pack” for those in the know holidaying in France and beyond. Last year, Nuxe released the oil’s fragrance as a stand-alone eau de parfum. The fact that a fine fragrance has been based on a beauty product tells you just how appealing its scent is. Notes include bergamot, mandarin, orange blossom, rose, gardenia, magnolia, mineral accord, vanilla and coconut milk. Before buying Prodigieux Le Parfum online, I tried the oil and fell instantly in love with its lush and languid fragrance. Luckily, when the perfume version arrived in the post, it didn’t disappoint. It faithfully replicates the scent of the Huile Prodigieuse, no doubt because it was composed by Serge Majoullier (La Femme Bleue, Armani Privé) who had formulated the fragrance for the oil. I had found my perfect beach scent. For me, Prodigieux Le Parfum has the right balance between white florals – the rose isn’t prominent – and sun lotion-style coconut. It also manages to retain the oily quality of Huile Prodigieuse and this is what lends it that decadent, 1970’s tanning oil feel. The gardenia and magnolia transport me to a tropical paradise, while the underlying scent of coconut places me directly onto a sun drenched sandy beach. Diffusion is good and it’s relatively long-lasting, from the bright orange sunburst of the top notes through to the soft vanilla sunset of the base. 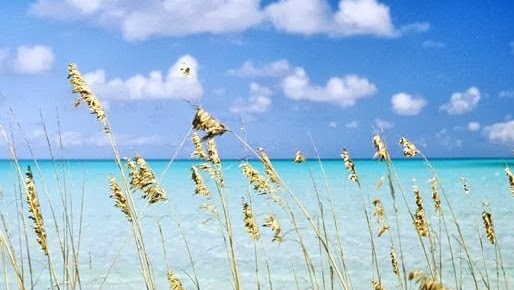 On a hot and sticky day in London it lifts my mood by giving me a little of that carefree summer holiday feeling. So, if the salty sea-spray and full-on coconut that are to be found in many beachy perfumes are not to your taste, then Prodigieux Le Parfum might just be what you’ve been looking for. Please feel free to share your own favourite beach perfumes in the comments. This entry was posted in By Tara, Floral, Fragrance Reviews, Orange Blossom and tagged Coconut, Fragrance, Huile Prodigieuse, London, Nuxe, Perfume, Serge Majoullier. Bookmark the permalink. I really enjoyed reading your review Tara. I fall into the category of not having found my beach scent yet. I will have to search this one out. Thanks Sandra. I hope you like it. It’s great to have a perfume in your collection that can remind you of lazy days on the beach. My Mum uses Huile Prodigieuse oil and I really really like its smell. It’s great isn’t it? So glad they managed to recreate it perfectly for the perfume. I haven’t smelled the Nuxe perfume but I like the smell of coconut and frangipani in this oil. Sunbathing oils should smell like it. It smells just like the oil and you’re right, it’s how all sun lotions should smell – of coconut and tropical flowers. V, they actually sell the oil at M&S now which is where I tried it out before buying the perfume. If you don’t have access I can easily send you some. I don’t like scented deodarant either. I will check it out – thanks for the heads up! Thanks Tara – I’m very interested in trying this. I’ll start with the dry oil first. I found it also on Beautyhabit but wanted to make sure it’s the same fragrant oil you are talking about. It’s listed as “Nuxe – Huile Prodigieuse® Multi Usage Dry Oil – 50 ml” on the site but says very little about the oil having any fragrance. I guess it’s the same oil? Thanks again – excited to try! Yes, that’s it. The oil is a skin/hair beauty product so it’s no surprise that they don’t mention the fragrance in the blurb. Obviously its scent a lot less pronounced in the oil than in the perfume but it still smells great. Hope you like it. I think they also do a gold tinted version of the oil for than “golden sun goddess” look. I love Nuxe products, they all smell good. My favourite is a moisturiser called Creme Fraiche de Beaute which I gives me an orange blossom hug whenever I apply it. I don’t know the Nuxe range outside the oil and perfume but an orange blossom hug sounds good to me. I should investigate further. Tara, you make this sound lightly sensual and oh so pretty! In the past, BeautyHabit has sent me samples of a number of Nuxe products, but not the oil. Since I’ve gotten really into using oil on my face over the past six months, I’ll have to check this out. (Meaning both the oil and the perfume.) Thanks for the lovely review! Thanks, Suzanne! It is exactly pretty and lightly sensual. Face oils seem all the rage at the moment and I can understand why. Night creams especially are just so heavy. I tried making my own but it was too rich. I don’t think I’d like to use the Nuxe one on my face precisely because it is scented but it would be lovely on the body or hair. I hope you get to try it. I like using oils on my face but have never tried this product. As you said in your reply to Suzanne I wouldn’t feel comfortable using a scented oil on my face. [I usually just use straight up Camelia or Hazelnut Oil, either following a splash rosewater/hydrosols or mixed with a water based serum (to make it easier to absorb)]..If you like making your own creams, I found a fabulous recipe that is as complicated (or as easy..depending on your perspective) as making cake. I made it only once but it was lovely and not greasy. I am usually wary of coconut in perfume, and beachy or tropical perfumes (but then Carnal Flower is characterized as tropical and I love that). But I will try and sniff this so I can make sure I understand the suntan oil reference (I think I know what you all mean but having never used suntan lotion/oil I am not sure if I just think I know what you mean or actually do know. Phew! What a long confusing sentence). Makes perfect sense to me Lavanya! The oil is more accessible so hopefully you’ll be able to give that a sniff and see if it does tally with your idea of the scent of suntan oil. I think if you love Carnal Flower then you won’t have any problems with this. Neither the coconut nor the tropical flowers overwhelm. It’s very well balanced. I used Jojoba with a touch of avocado oil for my face oil. Maybe I went wrong adding the avocado or perhaps I should try camelia or hazelnut. Thanks for the suggestion. I also really want to try rosehip oil which my sister swears by. Oh- you meant you tried making your own oil – I thought you meant cream. Yes- rosehip oil is lovely too, I’ve used that- you should try it especially since it suits your sister’s skin. I think I switched from rosehip/camellia to hazelnut because hazelnut was included in a pregnancy safe kit. But then I liked it for its own sake too. I’ve heard rosehip is great for under the eye as well. Somehow when I used jojoba on its own it did nothing for my skin so now I only use it while whipping shea butter (which I haven’t done in a while). Avocado is definitely rich- do you have dry skin? I went through a phase where I wanted to mix my own face oils so I bought pomegranate oil as well..lol. Camelia and Hazelnut are on the lighter side, I think. There is another lighter oil but I can’t remember- I’ll check and let you know. Thanks for the extra info, Lavanya. I added a little avocado oil because I do have dry skin but I think I over did it. I will definitely go down the rosehip oil route next time. Lavanya, I loved and appreciated all the extra info. Please don’t worry. I really like the idea of adding the oil to a water based serum. Thanks very much for the suggestion. Interesting! I just tried out Olivine’s Amongst the Waves – didn’t know anything about the line but the ad copy for this beach scent sucked me in. This is the time of year we long for beach scents – when summer is juuuuust about over. I love Huile Prodigieuse so I was planning to try this scent anyway; good to know, though, that it is faithful to the oil! There is something really appealing about beach scents. Who doesn’t want to feel like they’re walking along the sand with gentle waves lapping at their feet? Amongst the Waves is a great name for a perfume. 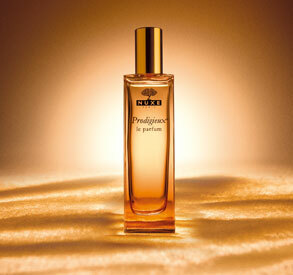 I hope you like the edp version of Huile Prodigieuse when you try it. I do know people who don’t like the smell of beaches because they don’t like beaches. Intellectually I can get it – the discomforts of sand or too much sun – but really, I don’t get it. I mean, THE BEACH! It’s like the apotheosis of all the dreams of humanity, as far as I’m concerned. On the lookout for this new EDP! I’m glad you reviewed it. Yes, of course there must be people who don’t like beaches but I agree with you – beaches represent so much that is wonderfully escapist it’s hard to put yourself in their shoes. I think Bronze Goddess and Lys Soleia are the ones I normally associate with sun and beach. Asali, I would have never thought to try it if B hadn’t recommended it to me. It is nice to hold on to summer with a beachy perfume now that it’s ebbing away. Bronze Goddess and Lys Soleia are great summer fragrances. Tara that was so much fun to read. And on this rare hot day in San Francisco I am tempted to head downtown to look for it. I don’t have a favorite beach scent so this may be IT!! Oh Lanier, I hope it is! I think everyone should have a beach scent in their collection. They have the feel-good factor. This perfume sounds VERY appealing. I’ll try it if I get a chance. For a long while EL’s Bronze Goddess was my favorite beach scent. This year I plan to add Yosh Ginger Ciao to the mix (either Birgit or Suzanne suggested that use and since then it is on my mind) and will report back how it worked. A couple of people mentioned Ginger Ciao as a favourite beach scent on Facebook Fragrance Friends. I’d not heard of it before so I look forward to hearing your take on it. Oooh Tara, this one sounds very lovely indeed! Thanks for such a evocative review. I really like Fire Island for a beach scent along with Eau de Merveilles, Virgin Island Water and Guerlain Homme. It is lovely! It was nice to fill that gap in my collection. Fire Island sounds really good. Must also try Virgin Island Water at some point as it gets mentioned a lot. It’s probably the only CREED that I would buy – the lime in it is almost drinkable! I love the oil and have been on the lookout for the perfume but it seems to be much harder to get. I’m in Australia and don’t have any trouble finding online suppliers of Nuxe skincare products including the oil, but none of them have the perfume. Can ask where you got yours Tara? I really like Le Labo’s Lys 41 but it comes off as quite coconut-y, and therefore beach-y, for me. I puzzled about this for a while until I remembered what it reminded me of – Nuxe oil. I did a side by side comparison and they are indeed quite similar (to me). The Le Labo is of course more refined and complex, and lasts much longer, but really, when it comes down to it, I feel no real need to replace my Lys 41 sample while I have Nuxe oil. And Nuxe oil is much more relaxed and fun! No sharp intake of breath at the thought of the cost. I would still like to try the Nuxe perfume version though. annemarie, the Nuxe scent IS relaxed and fun. You’ve summed it up perfectly. I bought the edp unsniffed from a seller on Amazon UK. It does seem hard to find outside France unfortunately. I hope you manage to find it in Australia. Interesting to hear it has similarities with Lys 41, which has been getting a lot of good press. Prodigieux Le Parfum is a bargain compared to that for sure. Thanks, I’ll keep looking, and maybe the product will go into wider distribution. At the moment even the English version of the Nuxe website is not selling it. OK. Fingers crossed they roll it out more widely. Im finding it so hard to find anywhere to purchase it from – anyone have any ideas? I live in Australia. Thanks!